Today, I want to congratulate all my winners over the last few weeks. It’s been a while since some of these giveaways ended. Sorry for the delay. Congrats to everyone and happy reading. 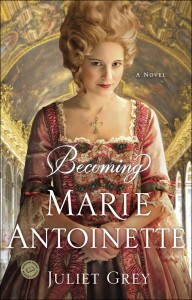 Becoming Marie Antoinette by Juliet Grey was released earlier this month by Ballantine Books, a division of Random House. The novel has been on a blog tour through TLC Book Tours this month, so check out some great reviews. I’ll be reviewing this later in the fall, but I have a treat for my readers today. Juliet Grey has graciously offered to write about her research process for her novel and what made her fall in love with Marie Antoinette. Without further ado, please welcome Juliet Grey. I fell in love with Marie Antoinette (and Louis) while I was researching their marriage for a work of nonfiction; and the more I read about them (at least a dozen biographies by scholars who often present conflicting opinions not only of events but of personalities), the more it became apparent that the monarchs have truly been misrepresented and misinterpreted by historians. They say history is written by the winners, and Marie Antoinette and Louis were the two greatest victims of the French Revolution. What sparked BECOMING MARIE ANTOINETTE specifically is how little has been told about her childhood years and the incredible makeover she had to endure at the hands of a small army of experts before she was judged acceptable marriage material, while the clock was ticking and a vitally strategic international alliance hung in the balance. The preadolescent Marie Antoinette was worked over by a hairdresser who reconfigured her hairline so that her forehead would not appear to prominent; a dentist who realigned her teeth with orthodontia, a pair of actors who became her dialect coaches for her pronunciation of French; a notable dancing master who taught her the “Versailles Glide,” the walk that was unique to the women of the Bourbon court; and a gentle cleric who came to tutor her in academics. My novel also shows just how much the young Austrian archduchess Maria Antonia was a political pawn, moved about the European chessboard by her mother, the formidable Hapsburg empress Maria Theresa, and King Louis XV of France. Most of the events depicted in BECOMING MARIE ANTOINETTE and in the next two novels in the trilogy are based on the historical record. I may be one of the few novelists to include a fairly extensive bibliography at the back of her book (which only begins to reflect the scope of my research), but I wanted readers to know that I did my homework, and then some. At times I felt like a literary anthropologist. For example, I went so far as to hunt down the names and backgrounds of the actual figures who aided in Marie Antoinette’s physical metamorphosis, transforming her hairline, her teeth, her gait, and her speech—and then her mind—into a package that the French sovereign Louis XV would deem acceptable dauphine material. In some cases, even the dialogue in the novels (and in particular the correspondence I used in the novels) reflect the actual words that were spoken or written. We are fortunate in that the Eighteenth Century was an age of great letter writers and memoirists. Nearly everyone kept a journal back then. All that said, although we know that certain things happened historically, as a novelist I have the freedom to imagine what was really going on in the room at the time and in the characters’ heads. We don’t always know how a given thing occurred, just that it did. I have a golden rule of historical fiction writing, which is: that if an incident could have happened, then it’s fair game to include it in a novel. For my own taste, I prefer not to wildly re-imagine historical events in my books. For one thing, fans of historical fiction (and I’m one as well) tend to be well versed in the history of their favorite time period and they get pulled out of the narrative when an author includes a scene that strains credulity or plays too loosey-goosey with the historical record. I’m also a professional actress and part of my training is to be able to get under a character’s skin and inside their head to imagine how they think and feel and what prompts them to act as they do and say the things they say. This sort of emotional analysis stands me in good stead as an author because it’s another way of digging into the psyche of a historical personage to reach a perspective from that taken by scholars and biographers. I have had a lot of fun letting some of the actual historical figures speak for themselves. Die-hard Marie Antoinette aficionados may recognize some of the quotes, not just from her, but in the mouths of other characters in the books. And in the second novel in the trilogy, DAYS OF SPLENDOR, DAYS OF SORROW, which will be published in 2012, readers will meet some real doozies—the colorful and scandalous players involved in the notorious Affair of the Diamond Necklace. Nearly all of them published their own self-serving memoirs and the records of their trial testimony is extant as well, so there has been a wealth of ore for a novelist to mine. And something that we just get a glimmer of in BECOMING MARIE ANTOINETTE will glow hotter and brighter as the trilogy progresses—the controversial relationship between the queen and the Swedish mercenary, Count Axel von Fersen. 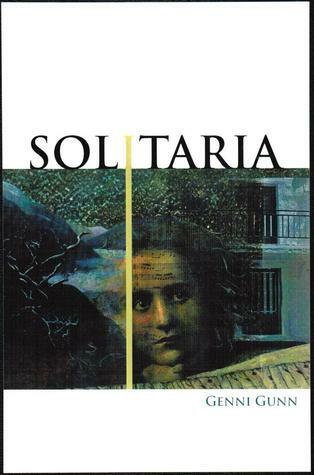 For decades scholars have debated whether their romantic friendship ever became something more; between the scholar’s sleuthing and the artist’s imagining herself inside their heads, hearts, and minds, I believe I have discovered the answer. Thanks, Juliet, for sharing your love of Marie Antoinette and your research. To win a copy of Grey’s Becoming Marie Antoinette, you must be a U.S. resident or have a U.S. resident who can accept the package for you. 1. Leave a comment about why you are interested in grey’s book. 2. Spread the word about the giveaway and leave a link to your blog post, Facebook, or Twitter announcement. 3. Follow the blog and let me know for a third entry. Deadline is Aug. 24, 2011, at 11:59 PM EST.